Pro Tools | You Can Do ANYTHING At Home... But Does That Mean You Should? You Can Do ANYTHING At Home... But Does That Mean You Should? It seems some of our friends at other blogs and sites have got themselves some flack from taking a position on matters such as summing mixers and mastering, good on them - it has resorted in an online p*ssing contest by ‘gurus’ in some forums, good luck to those people trying to change the colour of the ocean. This leads us to re-assert our position on these matters. You can do what you like and you should try and do at least everything once; mastering, mixing, soldering, sampling to name just a few. In fact it would be pretty dumb of us to run a site to equip the community and then not want them to want to try and do these things. However, being able to do something doesn’t always mean you should do it. I recently had to do my end of year accounts in preparation for my accountant to complete my tax returns. I did them myself, it took me two weeks and in terms of how much it cost in my own billing time, was a small fortune. I then hired a bookeeper who started last week and did my books in a fraction of the time it took me and at a fraction of the cost, she also did them much better than me. Add to this the art and craft element to any profession, then it’s not as cut and dried as simply having the gear and the time - craftsmanship can take a lifetime to develop. 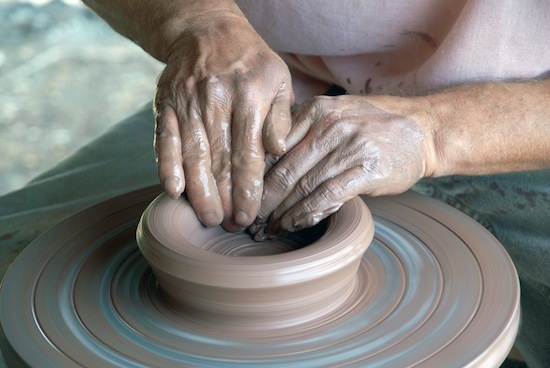 Take pottery, I once made a pot at school, it looked OK, but it certainly didn’t make me a master potter. We can all do anything if we try hard enough, but sometimes a professional will do a lot better job and cost us a lot less! Wisdom is knowing which ones to choose.